Violent gangs are targeting albinos in Tanzania, seeking a grisly prize: human albino limbs, which are thought to bring good luck, and can fetch thousands of dollars on the black market. Over the past three years, a gruesome, curious trend has emerged in Tanzania: organized violence against people suffering from albinism. Gangs attack albino children and adults, amputating their limbs and sometimes leaving them for dead. Why? Regarded as talismans, the limbs can be worth between $5,000 and $20,000 on the black market. Since December 2006, more than 50 albinos have been murdered in Tanzania, and many others have been mutilated. “I feel like I am being hunted,” one albino man, Samuel Mluge, told the New York Times. In April 2009, photographer Maro Kouri investigated the aftermath of anti-albino violence, living with and documenting albino survivors in the villages around Victoria Lake, in the city of Mwanza, in Dar es Salam’s slum suburbs, and in schools where albino survivors find shelter. Last month, the Tanzania Albino Society, which advocates for victims, called for the public hanging of three men convicted of murdering a 13-year old albino boy. The Tanzanian High Court and President Jakaya Kikwete heeded the request. But the root cause of the problem is superstition; shamans tell their followers that albino people bring bad luck to their families, but that their limbs are charms. The resulting violence and abandonment has been a new trial for albino people, who already suffer from poor eyesight—which makes it difficult to attend school—and high rates of skin cancer and poverty. The albino crisis is a bleak spot in a time of economic optimism in Tanzania. For the past five years, the country has maintained average annual GDP growth of 7 percent, following broad political and economic reforms, including opening markets to foreign investment. About half the country’s 40 million people work in agriculture, and recently, investors announced interest in large-scale farming ventures in Tanzania and other African nations, with the goal of boosting food production for the water-starved Middle East. In part due to the unifying, socialist vision of its founding president, Julius Nyerere, Tanzania has avoided much of the ethnic violence that bedevils neighbors such as Rwanda, the Democratic Republic of Congo, and Kenya. Last year, Tanzania hosted the largest refugee population in Africa, with some 433,000 asylum-seekers and refugees setting there, mostly from Burundi and the Congo, according to the United Nations Refugee Agency. The Swahili language has been another powerful force in uniting Tanzanians. Though millions still speak the “mother tongue” of their home village, young people in Tanzania, especially in the cities, are more likely to speak English as a second language. Tribal politics are more muted than in neighboring countries. But social divisions persist, bound to poverty and inequality, and are perhaps most evident in the country’s severe public health challenges. Tanzania has one of the highest maternal mortality rates in the world; according to Unicef and the World Health Organization, some 950 women per 100,000 live births died from pregnancy-related causes in 2005. Hospitals and physicians are scarce. Malaria treatment and prevention have become major priorities of international donors groups in recent years, but the disease remains the cause of millions of easily preventable deaths. Especially disastrous for people suffering from albinism, much of the health care system is still based on traditional medicine, which supports well over 60 percent of the rural population. Earlier this year, the government revoked the licenses of the country’s traditional healers in an effort to protect albinos. The growing social stigmatization of albinos across Africa, though, is not well understood. In many cultures the condition is regarded as supernatural instead of genetic. The Tanzania Albino Center says traditional healers have used the limbs of albinos to create potions to bring wealth to clients. In essence, the mystery of albinism has been easily incorporated into the murky world of some occult traditional healers, creating a stark contrast between modernity-oriented Tanzania, with its growing economy and ethnic cooperation, and rural Tanzania, where poverty and lack of education lead to superstition and discrimination. Get Involved: The Ocean Road Cancer Institute in Dar es Salam treats patients suffering from albinism. The Mitindo Primary School shelters albino children. The Canadian non-profit Under the Same Sun works with albinism victims in Tanzania. Eliza Barclay is a journalist in Washington, D.C. 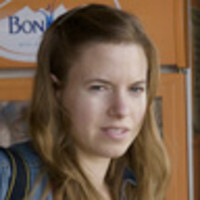 In 2007, she reported from Tanzania as a fellow with the International Reporting Project.